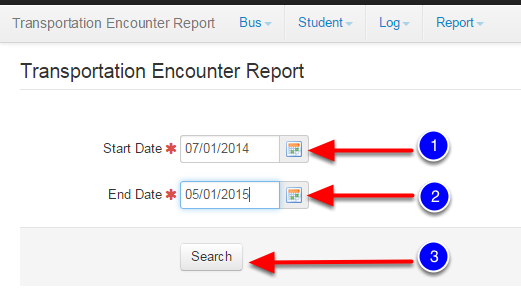 This lesson will take you through the steps in order to view the number of encounters submitted and approved using the Transportation Encounter Report. 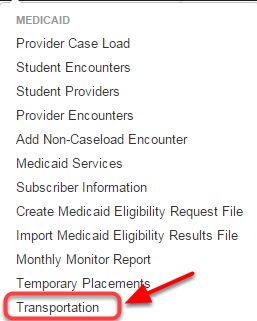 In the Medicaid Tab select Transportation. 2. Click on Transportation Encounter Report from the drop down. 1. Select the start date of your report. 2. Select the end date of your report. Note: You may want to use the same dates as the Transportation Log Report, for confirmation of numbers. The report will appear just below the Search button. Note: You have the option to print your report in Excel, Adobe or as a Tab Delimited file and by clicking on the More button, you can further your print options.